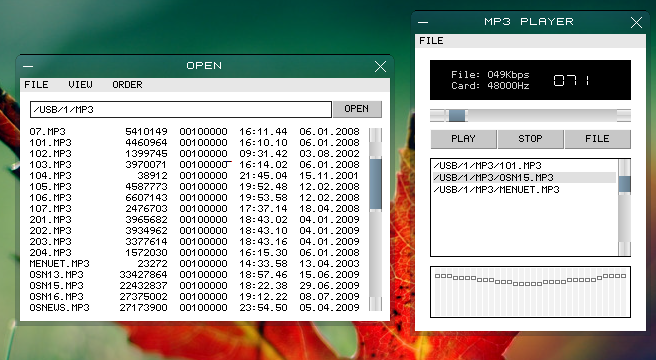 Decoder supports mpeg-files with mpeg-2 video (ps) and mp3 audio. 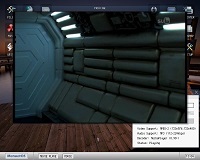 File player is included to Menuet64 image. For movie encoding, you can use a program like TMPGEnc. Mpeg-2 and Mp3 patents have now expired in many countries.